When you are ready to send the invoice for your products / services, IntelliStant software allows you to generate a very professional looking and well formatted invoice with just one click, with several options to format the invoice layout and content, you could generate a customized invoice with all terms and conditions and mode of payment details. Intellistant Invoice module calculates the appropriate tax based on the settings in the administrator panel. Single or multiple taxes including surcharge if any can be programmed with ease. Intellistant is Fully GST Ready. A summary of all the tax amounts added is readily available for any specific date range for you to process further. Intellistant allows its users to use buy and sell products or services in multiple currencies. If you are an exporter and would like to invoice your customer in their local currency, just choose the currency option before generating the Quotation, Invoice or Purchase order. Currencies can be updated on real time. 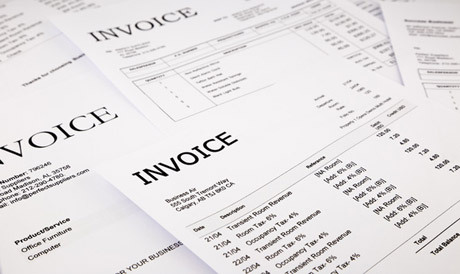 You may want to add information specific to that invoice, customer or shipment details. A set of programmable fields allows you to enter specific data that will become part of the invoice. Once you are done Generating the Invoice simply Select the invoice template and the built in e-mail send option that will configure a template based customized e-mail, attach your invoice in pdf format and instantly send the invoice to your customers. All payments towards each invoice is tracked in the payment module that will record and show details of payment received as well as the balance amount for the Invoices. A Detailed Balance Due report for every Currency and Invoice is available in the Reports section.